Newsletter from July 26, 2017 detailing how to design probes specifically for your own experiments. Plexon offers customizable specialty probes. 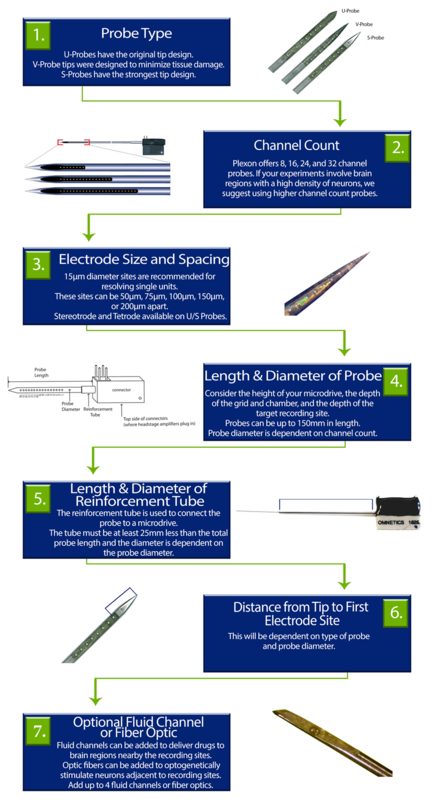 Use this guide to help design a probe for your research. Plexon offers customers the ability to design customized probes for electrophysiology research. Because researchers can modify each specification of a probe, the process of creating a probe may seem overwhelming. This guide will help you design a probe that will be optimal for your experiment.